BERs : Hows and Why? When is a BER Kilkenny Certificate required? 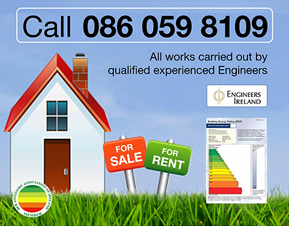 Kilkenny BER Assessors are registered with the SEAI and are covered by full indemnity insurance. WHY? Since the 1st of January 2007, it is required by law, that when new buildings (residential) are constructed a Building Energy Rating is provided by the owner to the prospective buyer (similar to the energy labelling of household appliances) This also applies to non-residential buildings from 2008. EXISTING HOUSES? Since January 2009 a BER Certificate is also required for existing dwellings that are sold or rented. SOLUTION: Contact John Brett, an SEAI registered BER Kilkenny assessor carrying full professional indemnity and public liability insurance to provide an efficient, affordable and timely assessment for your property. 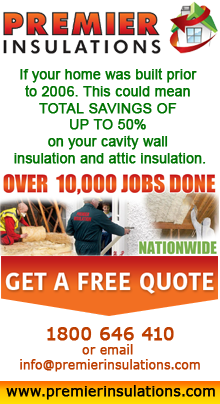 Phone John anytime at 086 059 8109. BER assessments performed on new dwellings will also help determine compliance to Part L of the Building Regulations. There are exemptions for certain categories of buildings (Ref. S.I. No.666 of 2006). For a more detailed list click here. A new dwelling (i.e. a dwelling that has never been sold or occupied) is exempt from the BER requirement if it had been the subject of a planning application submitted on or before 31 December 2006 and if it was substantially completed by 30 June 2008. “Substantially completed” means that the external walls have been erected. Existing Buildings: (dwellings and other buildings) when offered for sale or letting on or after 1st January 2009. An existing dwelling is a dwelling which has previously been sold and/or occupied.